Dubai: Full medical insurance cover is not proving to be a complete cure to all their health needs … as many residents in the UAE are finding out. It’s definitely not the case when they find many employers have cut down on the health cover during the yearly renewals. Or when they find themselves waiting longer at the hospitals and clinics for the pre-approvals to come from the insurer before they can get their medications or access to the next level of diagnosis. All of which is generating a lot of ill-will for all those involved in the process. Health care centres say they do not have the means to process the paperwork faster unless the go-ahead is received from the insurer. And insurers say with all of the paperwork and decisions they have to make, instant decisions are not going to happen. So, is the medical insurance space in the UAE in need of fixing? Would higher premiums be the answer? Over the last two to three years, medical premiums in the UAE have been more or less stable. And where there have been increases, these have been confined to a narrow range. But this is unlikely to be the case going forward, industry sources warn. 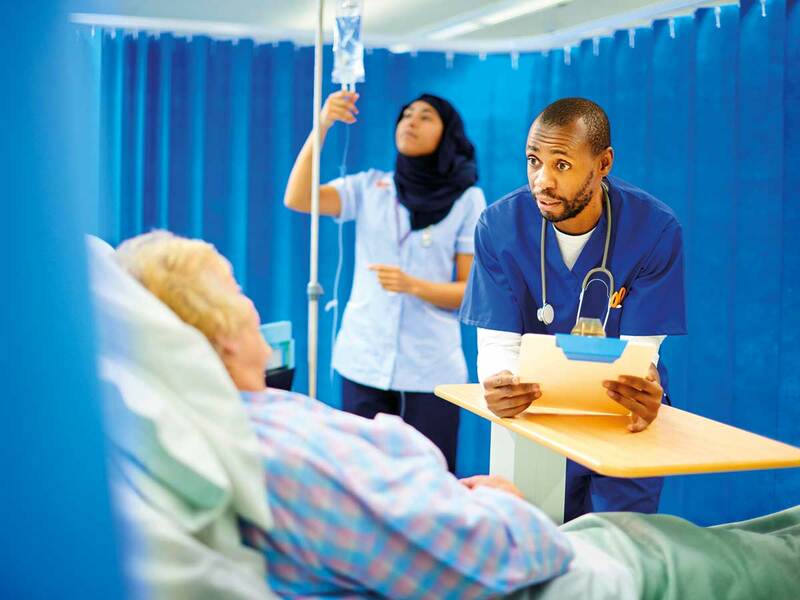 According to Mark Adams, Chairman of The Healthcare Network, “Health insurance sector in the UAE is under real pressure — insurers either have to find ways to lower claims or they have to increase premiums. The whole situation is made worse because of an unsustainable oversupply. “We have too many insurance brokers, too many insurers or TPAs (third-party administrators) and too many health care providers. We are still opening new hospitals when there is already an oversupply and this means we have fundamental inefficiency. The Dubai Health Authority has already made it clear that new investors in the health care sector should think twice before wanting to get into already overcrowded categories or locations. Health care operators have their own concerns over their dealings with insurers to process and release payments due to them. Some of these payment cycles are getting stretched to a breaking point, making it worse for hospitals and clinics to manage their cash flow. Currently, Dubai and Abu Dhabi require mandatory health insurance for all its residents. So, how well have insurers been doing with their medical portfolios? According to Graham Coutts, a Director in the insurance team at Fitch Ratings, “Competition remains intense in the UAE health insurance sector. The recent regulatory changes, which made health insurance compulsory, were an incentive for new players to enter the market, which increased competition and eroded profit margins. Clearly, something is in need of fixing. According to Mark Adam of The Healthcare Network, it costs the UK’s NHS more than Dh7,500 per person per year. The UK’s large employers would typically pay around Dh2,500 per person for their health insurance. In the UK, private health insurance does not cover primary care. “It is clear that the Dh500 or Dh600 for a basic medical cover in the UAE is not sustainable,” Adams said.